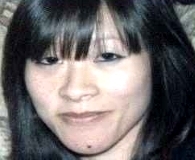 Medical Conditions Tran was pregnant at the time of her disappearance. Her child was due in November 2015. Distinguishing Characteristics Asian female. Black hair, brown eyes. Tran has a mole on the left side of her chin. Tran was last seen at a shopping center in Midwest City, Oklahoma on April 4, 2015. She has never been heard from again. She was reported missing by her employer the next day after she didn't show up for work; Tran was known as a very prompt, reliable employee who never missed work without calling in. Authorities found Tran's white Nissan Versa at her apartment complex at S.W. 89 and Drexel in Oklahoma City, Oklahoma. All her belongings, including her money, clothes, prenatal vitamins and pets, were left behind. Her family described her as a very private person and said they were unaware that she was pregnant. Investigators believe Tran is missing under suspicious circumstances. Her case remains unsolved. Oklahoma City police are investigating.